A while back I visited friends at their home on the New Jersey shore. The home was spacious and comfortable with a great water view. It was, in fact, a million dollar home. Like many homes along the coast in New Jersey there was a canal in their back yard. 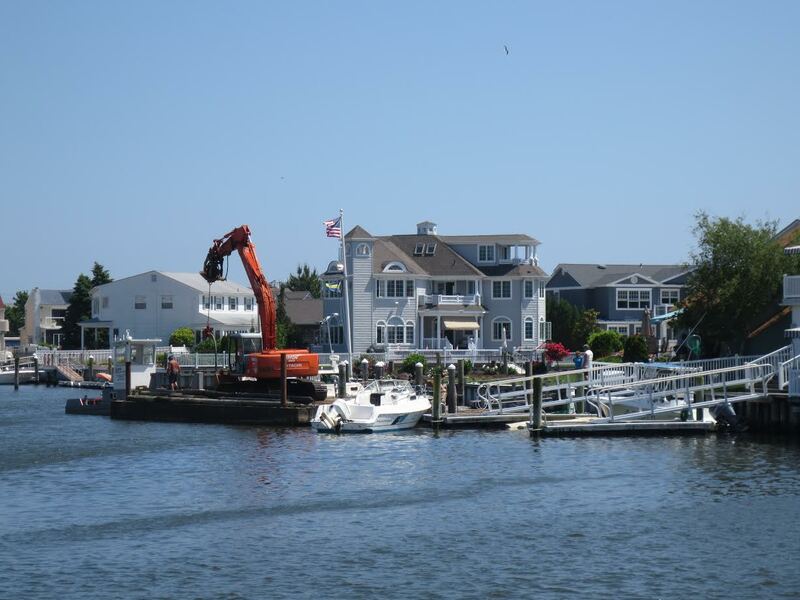 New Jersey is the most densely populated state in the country and all the oceanfront land had already been intensively developed or set aside as part of the parks system years ago. But demand for waterfront property was insatiable. So property developers began dredging canals through coastal marshland in order to turn worthless swamps into high value waterfront real estate. It was a brilliant business model and these canals now cover hundreds of miles up and down the coast. Local municipalities love this arrangement since property tax assessments on waterfront property do wonderful things for the public coffers and attract more prosperous residents to the area. 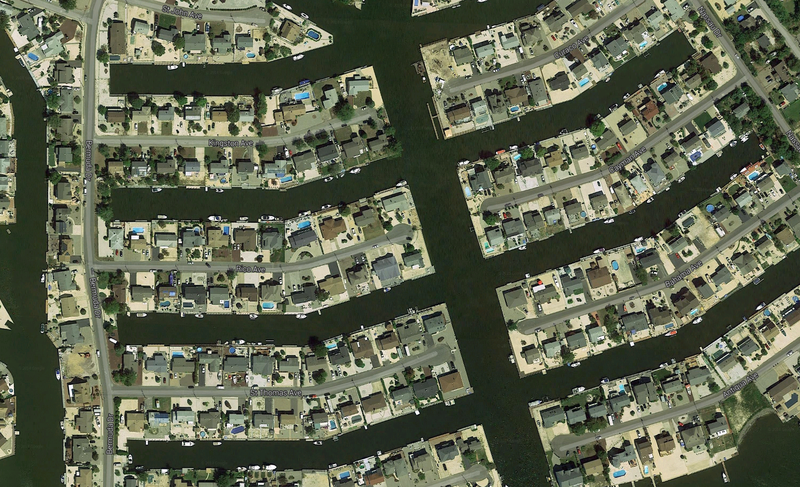 Seen on Google Earth these subdivisions are a zip-lock combination of terrestrial and aquatic cul-de-sacs. The family had just rebuilt their aging 1950’s bulkhead that kept the lot from sliding back into the canal at a cost of $80,000 which they said was a bargain since they got a group discount when they coordinated the job with a neighbor. The canals had all been built at the same time so all the original bulkheads were failing at the same time sixty years later. They financed the project with a home equity loan like everyone else in the neighborhood. A few months after my visit Superstorm Sandy hit and destroyed a serious amount of real estate along the shore. Here. If they hadn’t replaced the bulkhead the property wouldn’t have survived at all. Instead the lower level of the building was flooded but the structure survived. Since the house was fully insured the family was able to rebuild to an even higher standard after the storm. This got me thinking about the fact that natural disasters seem to be causing more damage to more property as time goes by. I suspect it’s a matter of population growth since there are more people living in more places with more buildings in harm’s way than there used to be. Technology like these canals and the financial institutions that make them possible are allowing development in places that were once left to nature. But what if these storms keep coming? How many more billion dollar checks will the insurance companies write before they start to re-assess the risks associated with specific locations? After all, that’s exactly the role of the insurance industry in our society – to assess risk and help keep people safe by sending a price signal in the form of premiums or by denying coverage altogether. If insurance companies decide to stop writing policies for these low-lying areas then home loans and equity lines of credit won’t be possible since banks will not lend against uninsured property. In some locations the state or federal government provides a de facto backstop to cover costs associated with natural disasters, but all levels of government are effectively functionally insolvent these days. The insurance companies will no doubt take notice sooner or later when emergency funding starts to trickle away. Instead of being high value cash cows these coastal subdivisions may become enormous liabilities for local governments. In an environment of scare public funds will there be political will to use taxpayer funds to maintain private waterfront property? 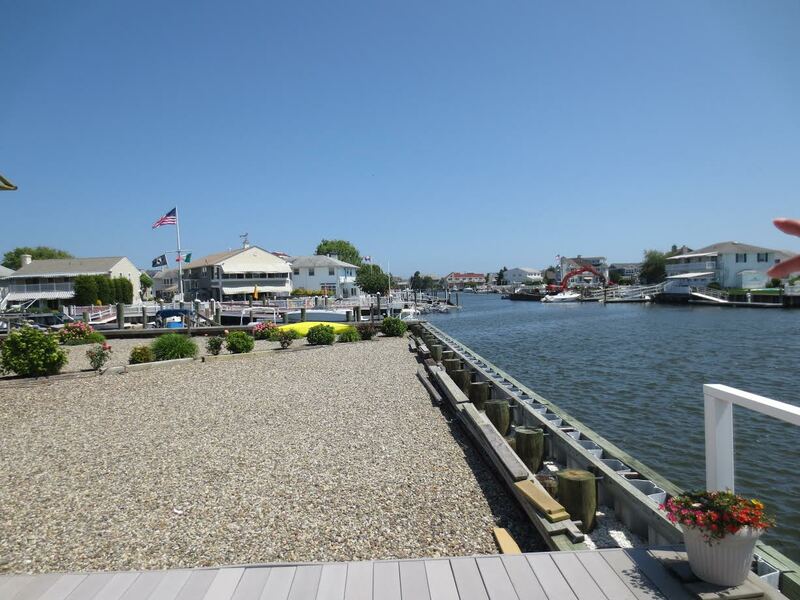 How much will these waterfront homes be worth when all sales and upgrades will have to be made with cash on hand in an insurance and finance free environment? What happens when one family spends the money to replace their bulkhead but their neighbors let it slide and half the cul-de-sac washes away in a storm? What happens when the bridge that connects these aquatic subdivisions to the mainland washes away and the county can’t afford to rebuild it? Time will tell.